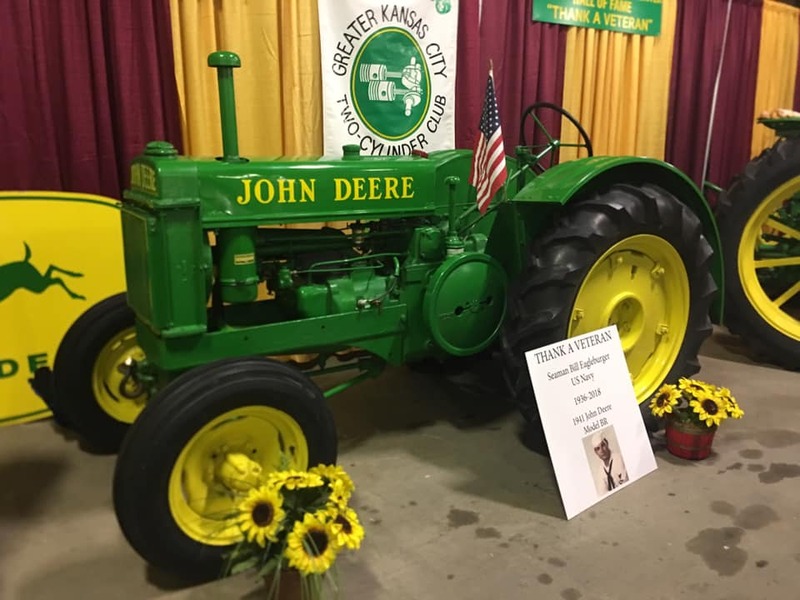 The Greater Kansas City Two-Cylinder Club had a booth at the Western Farm Show on February 22-24. 2019. The plan was to set up on Tuesday, Feb. 19 but the weather was questionable so the set up was done on Monday. 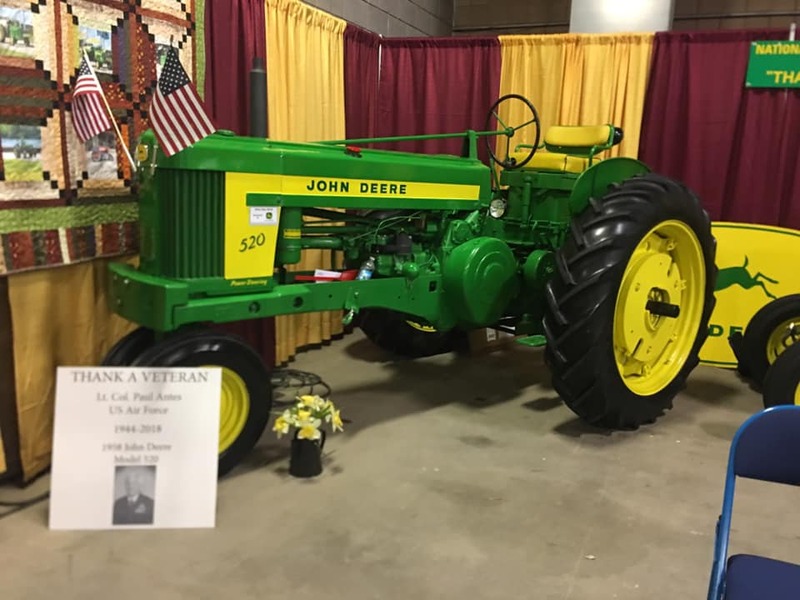 The theme for the display was “THANK A VETERAN” because three of our club members passed away recently who had a military background. 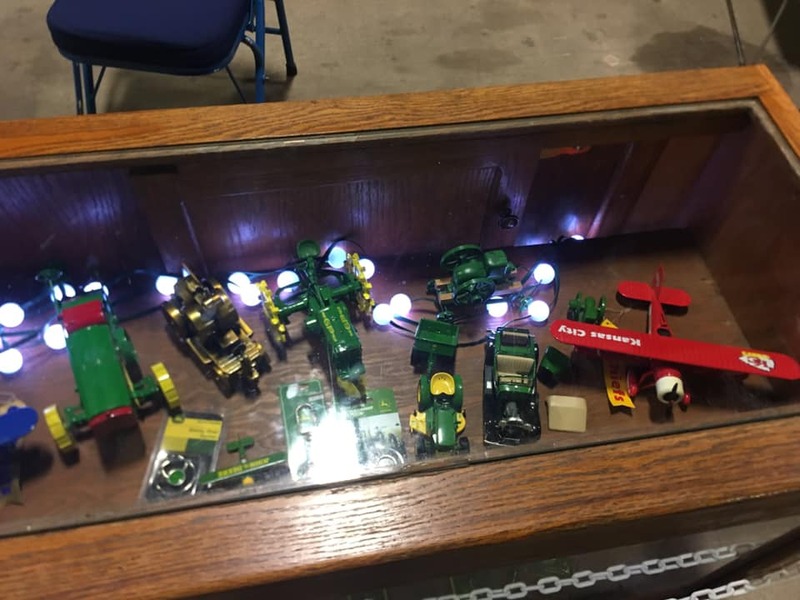 The three tractors for the display included: JD 1958 520 (Paul Antes), JD 1957 BR (Bill Eagleburger), and JD 1938 B/w cultivator, (Ray Jones). 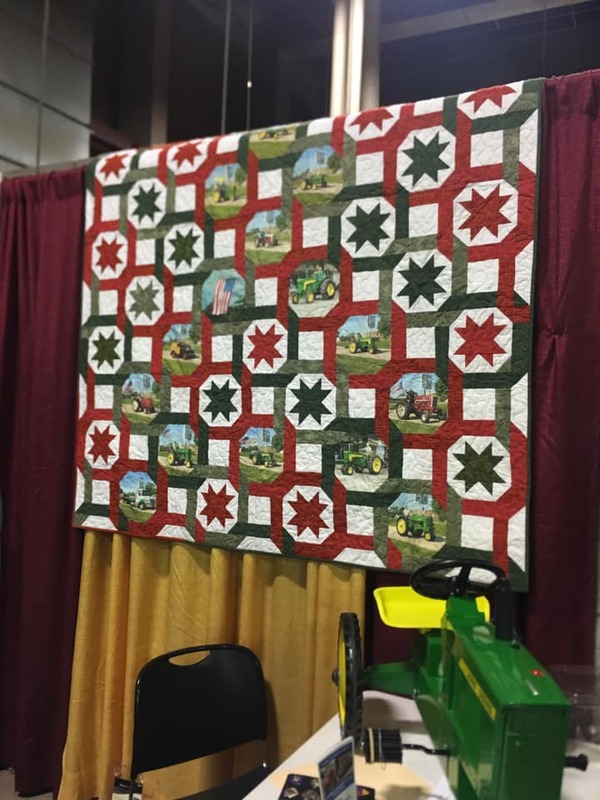 The overall display also included toys (Richard Thompson), two beautiful quilts and a plowing video. Many people visited the show over a three day period and there was something for everyone to enjoy. 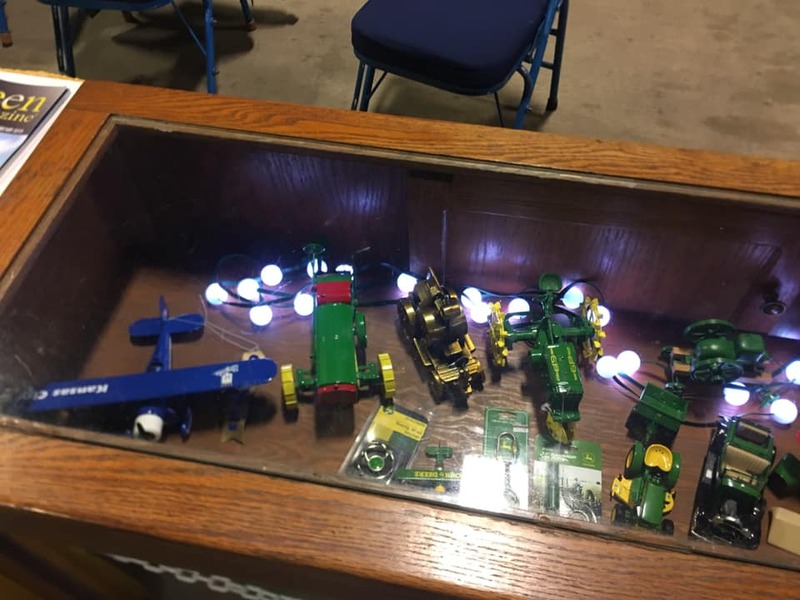 The club shared the booth this year with the National Agricultural Center and Hall of Fame to help support them. 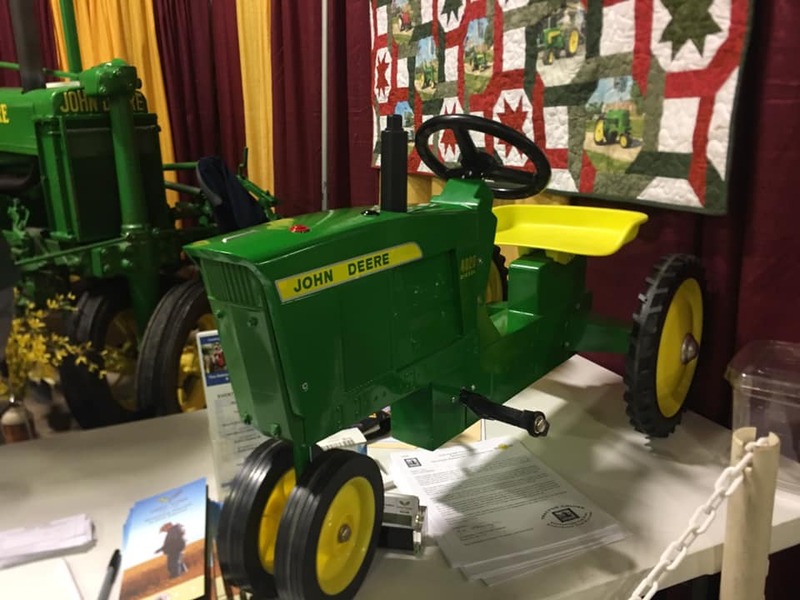 They provided a pedal tractor in a free raffle drawing. The lucky winner was a family in Dearborn, MO. Thanks to everyone who managed the booth. 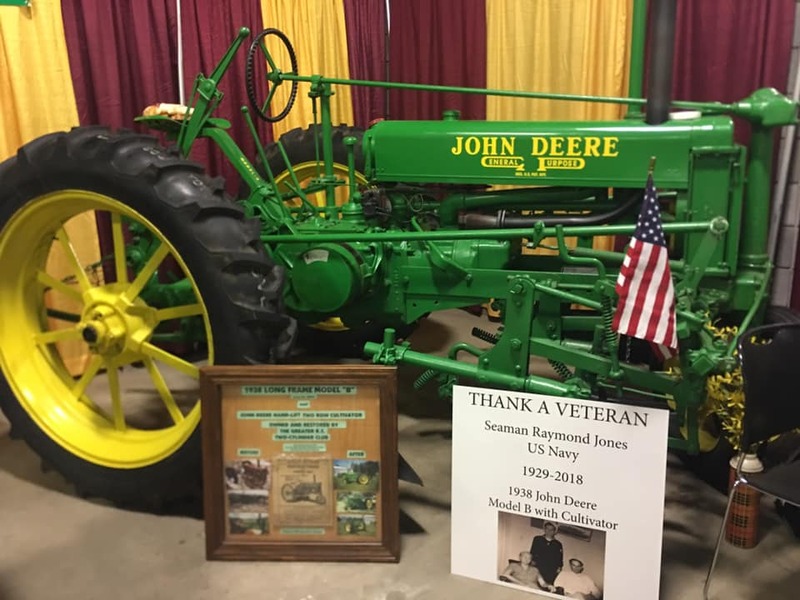 A special thank you to Overland Tow (Joe and Billy) for moving the Club tractor (JD 1938 w/cultivator) to the Western Farm Show and afterwards to its new home at the National Agricultural Center and Hall of Fame in Bonner Springs, KS.